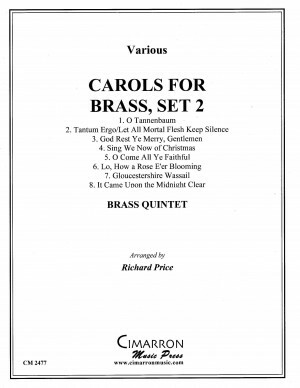 Arranged for Horn, Trombone, and Tuba by Orrin Olson. 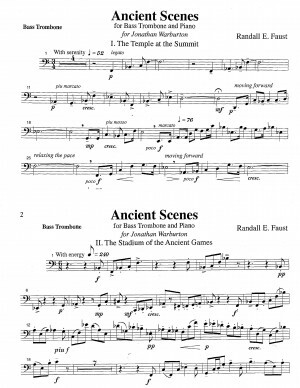 Ancient Scenes for Bass Trombone and Piano was composed for and commissioned by the Bass Trombone virtuoso Jonathan Warburton. During the year I was composing this work for bass trombone, I was reviewing some picture of a past vacation to Greece. Then, I started thinking how the sound of the bass trombone is often described as a "big block of sound," (like the big blocks of stone in the massive ancient temples.) Furthermore, (with the performance practice on historic natural horns excepted:, the modern trombone is arguably the modern brass instrument that is played more in the manner of its ancient ancestral brass instruments than any other modern brass instrument. So, the connection was made in my mind - and the idea of Ancient Scenes was born! 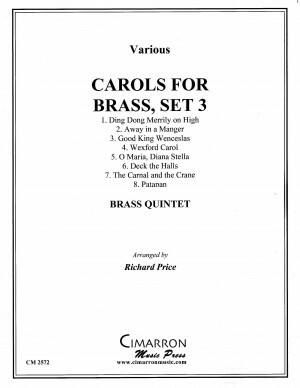 Dedicated to the Galliard Brass Ensemble, this collection contains seven well-know carols set for Brass Quintet. 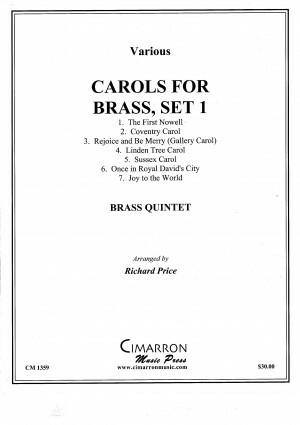 The set includes separate parts for both Trumpet in B-flat and Trumpet in C.
Composed for trumpeter Jan Roller in honor of his father--A. Clyde Roller. The work juxtaposes the initials--A.C.R.--with variations on his favorite hymn--Ein Feste Burg. First performance--Interlochen Center for the Arts--Summer, 1993, Jan Roller-trumpet and Kathryn Mason Hodges--piano. 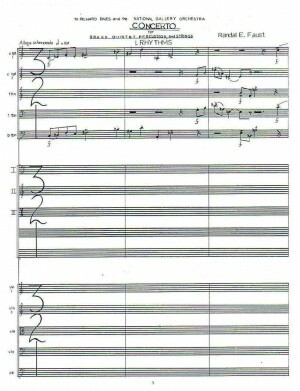 Commissioned by and Composed for Richard Bales and the National Gallery Orchestra, National Gallery of Art, Washington, D.C. Commissioned by the University of Louisville for Percussion Professor Gregory Byrne. 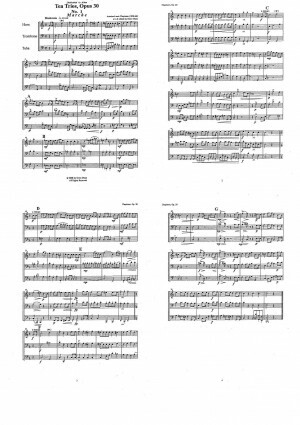 Composed for tubist Mark Moore. 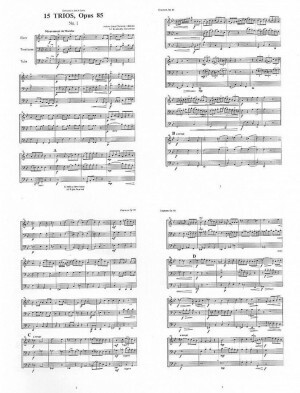 The FANTASY is a set of variations on a Palm Sunday hymn. First performance--Auburn University--January 1986.